If you are looking for delicious food to feed your family, Mexican meat offers a variety of dishes. The trick is finding quality, fresh meat and ingredients. Whether you want a delicious steak or a spicy dish there is plenty to choose from. We have listed a few choices for those that are looking to try something new. Chile Colorado is an excellent Mexican meat dish. This dish is made with red sauce made from dried red peppers. Depending on the chile sauce used, this dish can be made mild or extra hot. The sauce is poured over pieces of tender beef and potatoes. This dish is often made with onions, garlic, and cominos, which are Mexican dish staples. Pair this dish with rice and beans or pack a few burritos with the mix and you are set. Carne asada in English simply means grilled beef. Skirt or flank steak are the best for this dish. You can purchase the meat marinated or plain at the meat market. A good marinate will help the meat turn out much more tender. After cooked these meat tastes best topped with a squirt of lime, grilled onions, and salsa. Pair it with beans, rice, baked potato or any number of delicious sides. When you mention carne asada to the anyone in El Paso, it is understood that a family gathering with tons of side dishes and barbecued meat will ensure. This is a classic Sunday event in the border city. This delish Mexican meat dish is made from tender spiced pork. 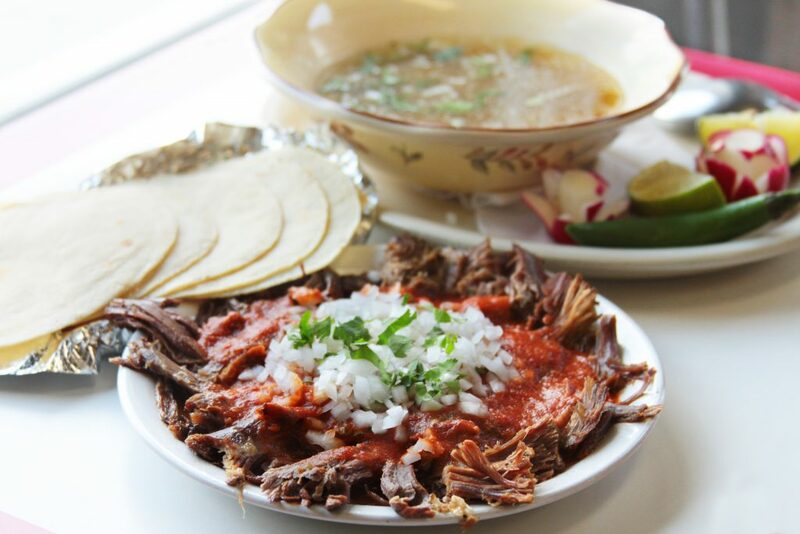 If you have ever been to a classic Mexican restaurant you have seen this meat turning on the “trompo.” Many don’t realize that this dish originated with Lebanese immigrants that landed in Mexico. The middle eastern dish was actually shawarma which is normally lamb. However, the Mexican dish is adapted by using pork which is popular in many Mexican meat dishes. These tacos are normally made with warm corn tortillas and topped with pineapple, cilantro and salsa. These are just a few Mexican meat dishes to choose from. If you are looking for something delicious to feed your family there is plenty to choose from. At Productos Real we offer a variety of fresh meats and ingredients to make just about any authentic Mexican dish of your choice. Contact us today for more info.